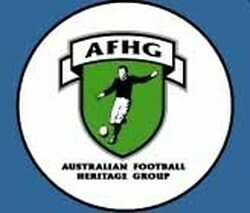 Since 1990 the VFA-VFL have presented this award to their best player in a representative match. It is named in honour of Frank Johnson, former VFA representative team captain, two-time All-Australian selection (1953, 1956 - as captain), youngest winner of the J.J. Liston Trophy, winner of Port Melbourne's best and fairest award a record five times, and winner of South Melbourne's best and fairest award in his first season in the VFL-AFL. Presented to the best and fairest player in Section 2 of a National Carnival and named in honour of Alex Dolphin, a long-serving ANFC/NFL administrator who was involved in all levels of football during the period 1930-1986. The medal was first awarded at the 1988 National Carnival played in Adelaide and presented the following season at the 1989 Section 2 Carnival played in Tasmania. However, it has not been awarded since. In 1988 ex-Camberwell player, Terry Wallace, who was contracted to Richmond in the VFL-AFL at the time, won the inaugural Dolphin Medal while playing for the VFA's representative team. Wallace was also the only VFA player to be selected in the All-Australian team announced at the end of the carnival.